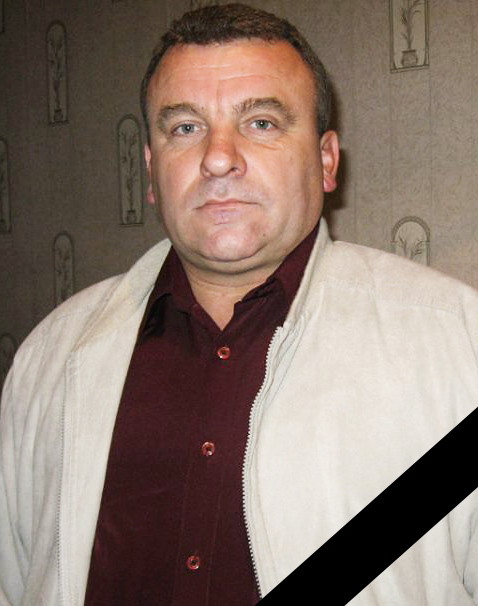 The Independent Trade Union of Miners of Ukraine is saddened by the tragic death of their friend and expresses sincere condolences to the relatives of Ivan REZNICHENKO. The body of Ivan Reznichenko was found on 14 January 2015. Ivan was the leader of the Independent Miners Trade Union of Ukraine (NGPU) at the state enterprise “Artemsil” and People’s Deputy of Soledar-town Council (Donetsk oblast). Ivan disappeared 21 June 2014, and as it turned out, he was murdered by order of the pro-Russian separatists. «Ivan’s body was spotted by his friend who is also a People’s Deputy in Soledar and who on his own, was looking for Ivan in Donbas. His friend found the body in one of the salt pits of Donets oblast” – explained Mikhailo Volynets, the head of the KVPU (Confederation of Free Trade Unions). According to Mikhailo, the law-enforcement specialists detained two criminals, who confessed to murdering the union activist. Ivan Reznichenko – who supported a united Ukraine and always fought for justice and dignity of working people. The criminals said that they spied upon Ivan over two weeks and on 21st June 2014 when Ivan was heading for home from his garage in the evening he was kidnapped. «The Criminals shot Ivan twice in the head and then slashed his throat as he was still alive after shooting him. Then these crime perpetrators through Ivan’s body into the salt pit”, – said Volynets. At the moment the investigators are carrying out necessary procedures. Ivan’s relatives until the last moment thought that he was in captivity somewhere in Donetsk and they hoped to see him alive.